I just finished the drama and all I can say is; I loved it. I think that the plot is really original, it's way more than your usual good vs. bad battle you see in other supernatural drama's. This drama asks the questions everybody copes with while warching the serie; "What is good? What is bad" "Is doing the social right thing, really the best thing to do?" "Who decides what's wrong?" "When doing the wrong thing will save many others, is it still not the right thing to do?" The drama is about 2 guys who are exceptionally gifted with a special power yet are cursed at the same time.... They never asked to be born with those powers, they just happen to have them. It's not always nice to posses something others don't have. Because when you're special, you're different from others. Being special, being able to do inhuman things causes the people around you to envy, hate or wanna use you. When you make one decision, it'll always have consequences for another. People judge them based on their personal ideas or situations and get mad when they don't act according to their ideas. But who gets to decides what the right decision is? Society? The people with power? The people with money? Or them...? Both Nishikido Ryo and Takizawa Hideaki are great actors and portray their character perfectly if you ask me. They are able to keep their own personality through the story even though you'll see that they, just like the people around them, slowly start to change. Even though they change they won't lose their personality, something I really liked (which happens often in drama's). Even though this drama has only 9 episodes (there were circumstances during the filming, I read that both actors got sick or something) I liked the ending. I know not everyone will agree with me but it's better than I expected and quite fitting with the rest of the story. This drama was seriously a lot more than I expected at first. A really good drama which showed lots of central questions of human beings! What is good? What bad? Peoples weaknesses are tested in here! So this drama goes deep! Also the cast was exceptional! Both main actors did a really great performance as well as the female supporting role who plays the detective, Nagisa. 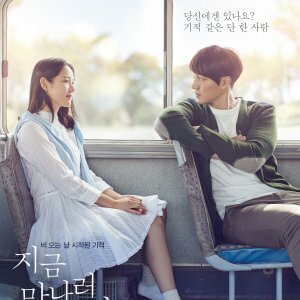 The music is refreshing and fits the different situations of the drama. Overall....WATCH THIS!!! if you want to see a drama with great emotions, deepness, great actors and an very exiting and interesting story!! Ryuzaki Shinji (Tackey) and Aoi Ryosuke (Nishikido Ryo) are two sides of a coin and each blessed/cursed with a unique power. One wields the “God’s hand” and can heal people with just a touch. The other has the “Demon’s hand” with the power to kill. It should be a story that is black and white, but the demon wears white, and the angel wears black. Aoi Ryosuke may have a devil’s curse, but he is terrified of his own abilities, while his counterpart Ryuzaki Shinji is a devil himself, with the gift of god. When they are brought together however, the game really begins. From beginning to end, the mystery behind their powers drives the plot of the drama: just how much they know about each other and what are the implications of their gift. Is it a curse or blessing, or both, and how are they to be used? What is their purpose on this world? While a larger mythological background is hinted at, I actually appreciated how the drama focused more on the immediate repercussions. This isn’t a tale of gods and demons. It’s the story of two men who behind their powers are just as human as you or me. Their entanglement with Detective Hasebe gives this even more of a humanly-backing as she struggles to learn more about them - to trust or fear, protect or arrest. The Dog of Orthros: The name comes from Greek mythology. Orthros was a two-headed dog beast (brother of the more famous 3-headed dog Cerberus), and minion to a giant. I'm sure other comparisons could be made between drama and myth, but there's not much known about the dog. Rather, it's more interesting to me that nowhere in the show does it say which man, the angel or the demon, is the actual beast. Both are just two parts of the same whole. Not to ignore the drama’s political plotline (because, in this kind of scenario unfortunately one just has to exist), but that part was a little more on the predictable side of things – the only questionable outcome is which man, if either, would align with the greedy and power-hungry parties and politicians. What was more subtly done I thought were many of the side characters, including Detective Hasebe’s young daughter (who often seemed to understand important things better even than her mother), and delinquent youth Kumakiri Masaru (Yaotome Hikaru). I could barely turn away from this drama, and not even the political plotline bored me for more than a few minutes at a time. Like most Jdramas, the romance may be a tiny bit lacking, but the relationship between the three main players was anything but lacking in overall chemistry. The thriller/mystery aspects were also extremely well done (if not completely perfect) but enough that even knowing the outcome, I’d be likely to watch it again. This drama will make a person ask themselves some moral and ethical questions. What would you do if you had a power that is similar to either of these guys? What would you do to use that power if you knew someone that had it? The ill children seemed to know better than the adults how to answer those questions. It was interesting. The problems with the story stems from a few convoluted plot points and the characters Hasebe and Sawamura. They were both very annoying. I'm not sure if it was the characters or the acting. Part of me thinks it was the acting. Otherwise the story is well done. The acting of Nashikido Ryo as Ryosuke and Takizawa Hideaki as Shinji is understated but in a way that makes since for the story. There is an emotional depth that is palpable from the acting and from the questions that are asked. Even though they were pretty much the only good actors in this drama, it is still worth watching. I probably won't rewatch this. This show has got to be one of the best out there. I loved the whole good vs evil spin they put on it. They really make you think about the difference between good and evil, are they really so different? Isn't it true you can't have one without the other? I felt very sorry for the guy who had the hand of god. The only thing I didn't like about this show was how it ended, they could have done better. I highly recommend this show. I was randomly watching japanese dramas on youtube when I accidentally saw this one. I heard about it before and skipped it a lot of times thinking It'd be boring. I was really bored so I tried this one. I got to admit, I was HELL WRONG. I should really stop judging dramas by their plot >___< there was more into it which really made me want to watch it continuously. A drama that has a lot of "something" inside it and not just "air". Try it. You won't regret it. Well, If you think this is boring then move along and you'll find yourself watching it. I guarantee it. 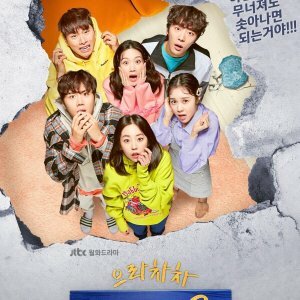 I want to thank you "ashertwinker456" for introducing me to such a great drama.I'm damn sure if you hadn't told me about this drama,I would never be able to find it.Thanks alot. 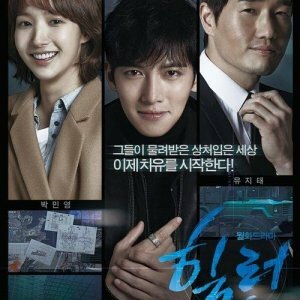 The thing is I loved this drama.I fell in love with it.Even it's old school- it had such an originality that is wow.The storyline is also mysterious storyline.I love the acting of everyone.They made the character alive.The music suits well the drama.If I had free time someday,I'll definitely want to re-watch it in one go.All in all,I loved this drama.I didn't unlike a single thing about it. P.S:If you came to hate it after watching this drama,then please don't blame anyone cause you're not a person who like supernatural genre drama.Got it. P.S:I loved the ending & that strong head detective (Hasabe Nagisa). I began this drama because of Nishikido Ryo, but completely fell in love with Takizawa Hideaki! The way he acts is amazing; not on par with Nishikido Ryo, but they don't over shadow or compete with each other... in some ways, a complete match and in other ways, completely different. I like their styles of acting very much and plan to follow them from now on; minus the "stalker-ish" way it sounded. I've followed Nishikido from Ryusei no Kizuna; the way he seems in this story, slightly (in a teeny tiny way) reminds me of his character from that story, if you watch this, you may know what I mean but you also may not and/or disagree with me. Also, my time is 4:15am, so I may be speaking nonsense. Anyway... The ending was a complete surprise, yet at some points I came close to guessing what was about to happen. I didn't recognize Haru at all, which was surprising, but she was wonderful in this series; as was Kumada Sea and Sasaki Kuranosuke was positively frightening. The cast in this was iffy to me in a few parts of the series (namely one or two persons specifically, I wont name names) but it's easy to get over if you focus on the story and not the people... which is sort of hard to do since you're watching the story that focuses on peoples lives. Well, either way, this drama was a wonderful story and I've never seen anything like it! Definitely a recommendation! Well, it's probably my number 3 in the Japanese drama list. 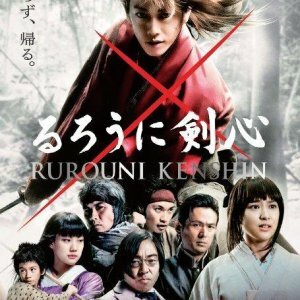 The main cast is undoubtedly brilliant: Takizawa Hideaki and Nishikido Ryo, two of the most interesting Japanese actors. However, although after One Liter of Tears I expected more from Nishikido Ryo than from Takizawa Hideaki, I must admit that Takizawa's character here is much more developed and captivating (definitely my favorite role of his repertoire). Here he has a really complicated nature and a mysterious aura. Nevertheless, Nishikido does really well in his a bit too positive role and I dare to say, adds to it more charm than it has by itself. I started this drama like, I don't know, at the beginning of last year. Didn't really pull me in, then again at the time I had only just entered the world of asian dramas so I was multitasking the crap out of everything. I watched 20 minutes, thought 'meh, not really my style' and left it. Holy mother Mary did I make a MISTAKE. This drama has emotionally killed me. Repeatedly. In a very violent manner. Let me tell you why. One man has the hand of 'God', which can heal any illness or wound. Another has the hand of the 'Devil', which can kill with a single touch. What the real kicker here is that the ones who have the 'God' and 'Devil' hands are polar opposites of what they bestow. Think of it this way, Moriarty has the 'God' hand, while John Watson has the 'Devil' hand. Seems like one big cosmic joke, doesn't it? The show amazingly questions and answers morals of killing and healing. It shows the way power corrupts even the most innocent of people when offered the chance of life. I was often left with my jaw hanging on the floor at some parts. This show is so dark. I love it. Everyone did a brilliant job of portraying their respective characters, but the two male leads stood out. Takizawa Hideaki especially nailed his character's detached way of looking at things and his twisted view on saving lives. The music suited the drama so much, there wasn't an off moment. Maybe after a while, but definitely worth the rewatch. I cannot believe I found this drama dull the first time I saw it. Blasphemy! This has easily been added to my favorite drama list. This show is- wow. Just wow. I've literally just finished watching and it is by far one of the best dramas I've seen so far (and I've seen a lot of those). Definitely in my top 5. Originally, I did not expect much but I was oh so pleasantly surprised. With the series only being only 6.5 hours in total, I expected things to be rushed but it really wasn't. The drama had a very good flow and nothing felt like it was done half heartedly. As for the acting itself, it's like you can feel what they are going through and the main cast had very moving performances. This drama is full of suspense and it made my heart race in certain parts. Would I recommend this drama to you? Hell yes. Story: The story overall had an okay premise, but, towards the end, they just threw in random "plot twists" that were obviously not thought about from the beginning and seemed arbitrary. Acting/Cast: A few things to say on....this. Okay, first off, why cast Tackey-san as a BAD guy? When he smiles "evilly" he just looks like normal adorable Tackey and can not be taken seriously. I mean, I love Tackey, just....he's a terrible bad guy. Second off, why would you EVER cast Hikaru as a dealer? He's great in the range he plays, which, is just not...the "tough guy". Also, the woman? I can not get over how annoying she was. This may be due to the poor plot, but...seriously? Rewatch Value: ABSOLUTELY NOT. (I could barely get through it the first time!) One thing. I literally got headaches every time I watched this drama and literally struggled to get through this drama. Overall? It was TERRIBLE. It was so terrible it made me want to cry, it is literally the WORST DRAMA I have ever seen. Save yourself, don't watch it.